Are we getting the most out of our most loved doll collection? Is there ever enough time to play with our dolls? And if we ever do, what exactly does play time mean to us? 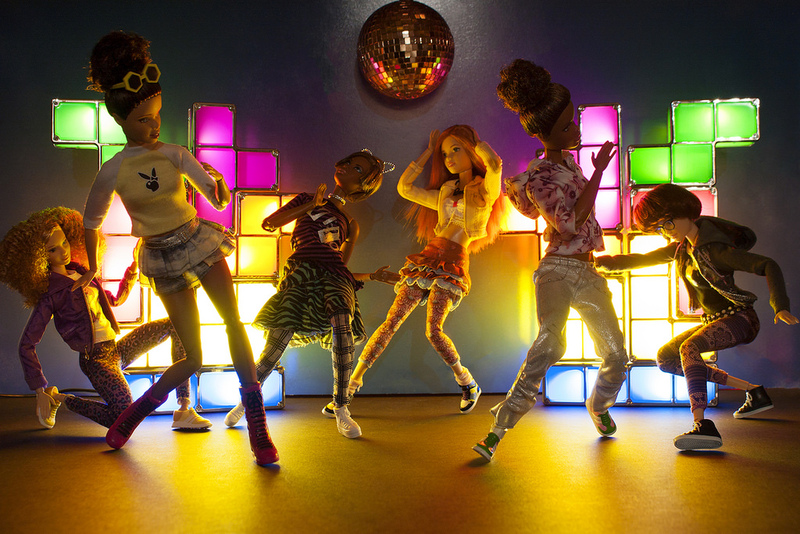 What are the most enjoyable things we do around these dolls? How do we manage our (real life) time to make way for this smaller-scale universe? And how do we plan to improve our doll collecting experience while attending to life’s major priorities? These are just some of the questions we often ask ourselves as doll collectors, or do we even have time to ask? Again, I have knocked on our friends’ dolly doors to ask what they think about this topic – play time. I was giddy as a child when I received those honest and exciting insights, all of which I collated here for everyone to take tips from. Thanks so so much to our contributors for taking the time to answer my questions. You know how much I appreciate everything. Are you ready? It’s play time! Play time, as I found out, is what our friends define as the most enjoyable activity involved in collecting dolls. It has a very particular and personal definition, and it just might be the main reason why we collect dolls in the first place. Lovely things are just too good not to be captured, right? 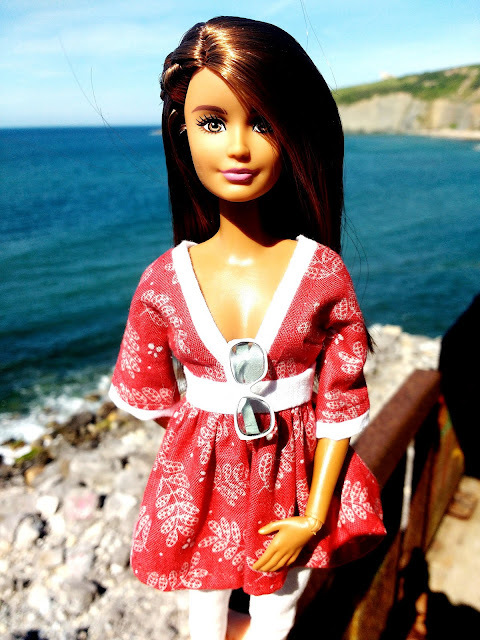 It’s a human tendency to want to capture beauty and make it last, and this probably is the reason why most of us doll collectors want to take photos of our dolls. “For me, play time and photo time are pretty much synonymous – taking the dolls outside and photographing them is definitely my favourite thing to do with them. “ says jSarie. Kenya's girls having a fun night out! “Photography is my favorite activity involving my doll collection as it is my stress-reliever.”, adds Melan. Javi also enjoys the most taking pictures of his dolls outside. Below is his Helena looking so cute under the hot sun. 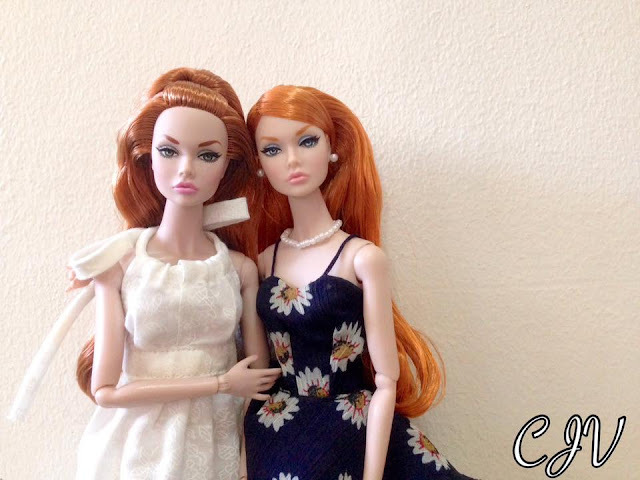 Some of our dolly friends featured in this article also run Flickr and Instagram accounts where they share their doll photography. I would recommend creating accounts in these photo-centric sites and joining online photography groups dedicated to your dolls if you want to challenge yourself and improve your photography skills. I learned so much from just checking out what people do. Such communities are very inspiring. Ah… the stylists in us all. Tell me, who doesn’t enjoy mixing and matching their dolly clothes and accessories every now and then? I myself spend hours styling my dolls before a quick photo shoot! I may be taking time because it’s hard when you have limited wardrobe, and poor styling skills, but I think it’s really because I enjoy the process of unveiling great outfit combinations! It’s definitely my favorite play time activity of all. Bubbles’ most favorite activity is dressing up her dollies because it involves creating their persona and having them dress for their respective roles in her doll world. “Dressing them up.”, nods Diadema in agreement. “I love to challenge myself when it comes to mixing and matching stuff.” Below is her Poppy Parker trying on an atelierniSHASHA shift dress. Edel’s play time is about taking pictures with dolls, but the best part would be preparing their looks at home before taking them out with the camera. Edel's Poppy below looks like she has been prepared well before stepping out for a shoot, eh? Javi says he loves to dress them up, combining different clothes, and restyling their hair. “Most of the time I do dress ups for my dolls. 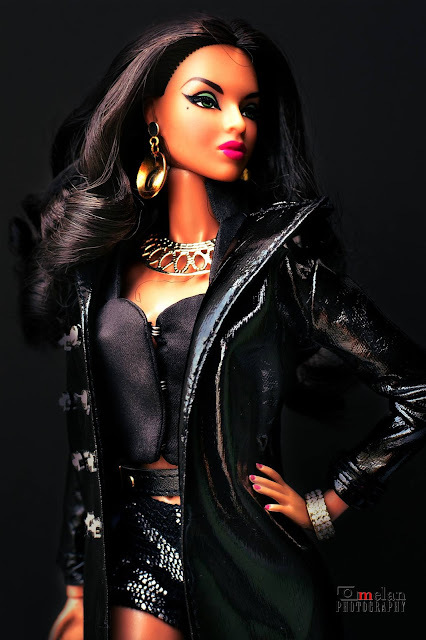 I try to mix and match clothes and accessories from Mattel, Integrity Toys and from local designers. After that, I think of a concept. Lastly, I do photo shoots for my girls.”, responds Robert. 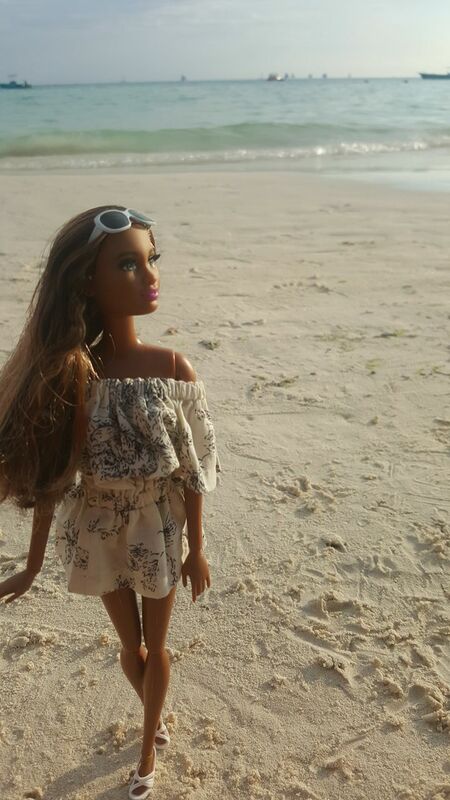 Terri also basically dresses her dolls and pose them for pictures. Below is her Ken doll (is that Finnick?) trying on some new kicks. 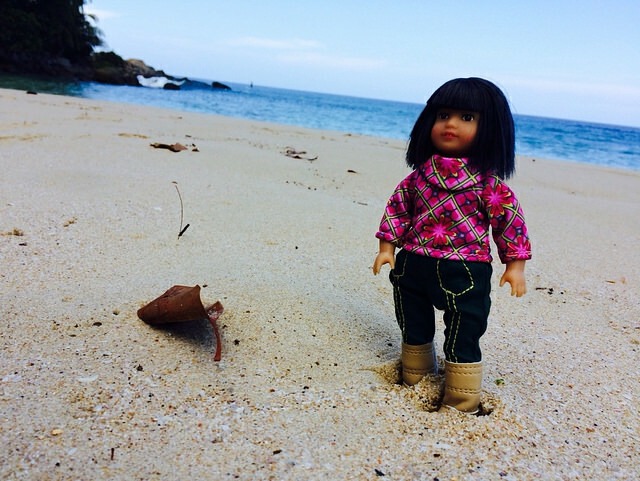 Marcela says, “My favorite activity with my dolls? Designing, styling and photographing! The beginning of the process with the design, and seeing it all come together in the end! I design and sew for my dolls, embroider, make jewelry, make them leather bags, style, photograph, reroot and repaint them”. Sketching, sewing and fitting - especially when he unveils his final work is Barry’s favorite part of spending time with his dolls. Aside from photographing and styling, Vana enjoys sewing her own doll clothes, creating rooms and dioramas, building miniature furnitures, and making doll accessories. Aside from the three favorite activities discussed by our contributors earlier, there are also other dolly activities that they consider play time. “My favorite activity is not always the same. It varies periodically. Currently, I'm in the crafting mood”, says Vana. Marcela notes that she uses her dolls to play out the chapters in her stories, and to develop the stories while she played alone or with friends. “It was like a theater play with dolls”, she adds. Debbie and I share the same excitement for finding pre-loved dolls. Edel likes to call it doll hunting. Vana and Terri admit to enjoying the fun of shopping for the dolls. Same goes for decorating the dollhouse, Terri adds. Diadema shares, “I usually spend my time organizing my mini boutique (I hang clothes according to colors, according to the articles of clothing that would go together, I make it a point that tote bags should be in a different shelf apart from the envelope bags, etc). #OC alert!!! “. “Another very fabulous moment always is to meet wonderful people all around the world who share the same interests”, shares Vana. Barry says play time is relaxation for him. Dolly play time brings him joy and peace of mind. Diadema agrees, and adds that doll play also a form of de-stressing for her. Terri wishes she had more time to dedicate for her dolls, as they are great stress-relievers for her. When Melan takes photos of his dolls, he considers the activity as his stress-reliever. Jelyn believes that no matter how we spend our dolly play time, what matters most is that we are enjoying what we do and we feel fulfilled as collectors. I totally agree. In my case, as a doll-related crafter now, I enjoy all the activities involved in doll collecting. But I always fall into two of my most favorite dolly play time when I need to relax- styling the dolls and redecorating their diorama. These two were the reasons I play dolls since I was a kid. That is why after playing for so long, I realized I need the right doll garments to make styling more enjoyable and that I need to make them myself since I don’t have the funds. That was then the start of my quest to learn making my own fashions. I may have evolved into a professional doll clothes maker, but my preferred play time has pretty much stayed the same. And oh, that was just the first part of the Play time series… In the next few days, we will tackle the rest of the questions in a couple more posts. Specifically, on the second part, we will find out how our dolly friends try to make time for their doll collections despite their hectic schedule. And on the finale, we will find out what ideas our contributors might have to further enjoy and make the most out of their doll collection. 'Til then, dollies! Bye for now.. Thank you, Shasha, for taking the time to poll so many knowledgeable doll lovers and to pull the information together into such great posts. Thanks so much for the kind words, Debbie... Having been an editor myself in the past, I really enjoy the process of finally coming up with a story based on each of our contributions. My playtime has been very sparce, but it is getting better. I am trying to sew more on the weekend for myself and my dolls so, yeah, playtime has been very limited. I really enjoyed the post. Hi Shasha! Oh I love part one! It's very well-written, and I enjoyed going through other collectors' experiences and learning more about them! Can't wait for part 2! Aww thanks so much, Marcela darling... I myself is having a great time editing this one! Amazing job dear friend! Your posts are very inspiring! THanks to you and the rest of our contributors, love! You guys are the bomb! Hi Dear! I adore all these great pics! Loved to read the other collectors thought and about their preferences. I agree - the pics just show how much love we have for our collection. Thanks so much, Vana dear..